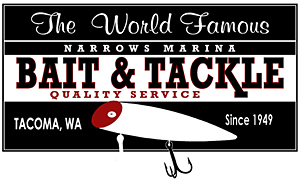 Narrows Marina strives to be the optimal destination on the South Sound, where we offer high quality products and services provided by friendly and knowledgeable staff. The marina comprises year-round dry storage and wet moorage options, sure to suit your needs. Marina Dock Ages Magazine recognized the marina as the 2014 Marina of the Year for improvements made, growth, and innovation. Narrows continues to meet the qualifications and standards for the Clean Marina Washington program by maintaining the Envirostars 5-star level rating. Learn more about us here. WHAT'S HAPPENING AT THE MARINA? We offer secure & dry boat storage during the cold seasons - Inquire about our Winter Storage options! Closed: for Thanksgiving (reopening the day after), December 23 thru January 1, 2019 (reopening January 2, 2019), and Easter Sunday.